About Us – A great start for every child! The first five years of a child’s life are a time of great opportunity. Research tells us that the quality early learning experiences and environments directly impact children’s success in school and beyond. Well-prepared children strengthen the community socially, emotionally and economically. Today’s children are tomorrow’s workers, parents and leaders. 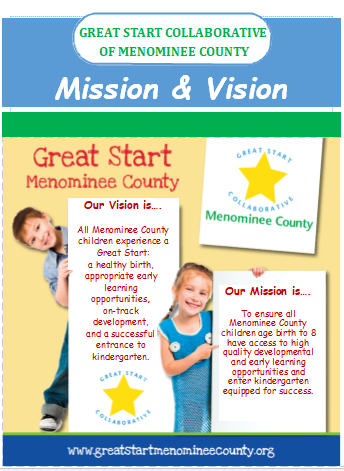 Investing in our future starts with giving our children a “Great Start”. Meet our Great Start team!